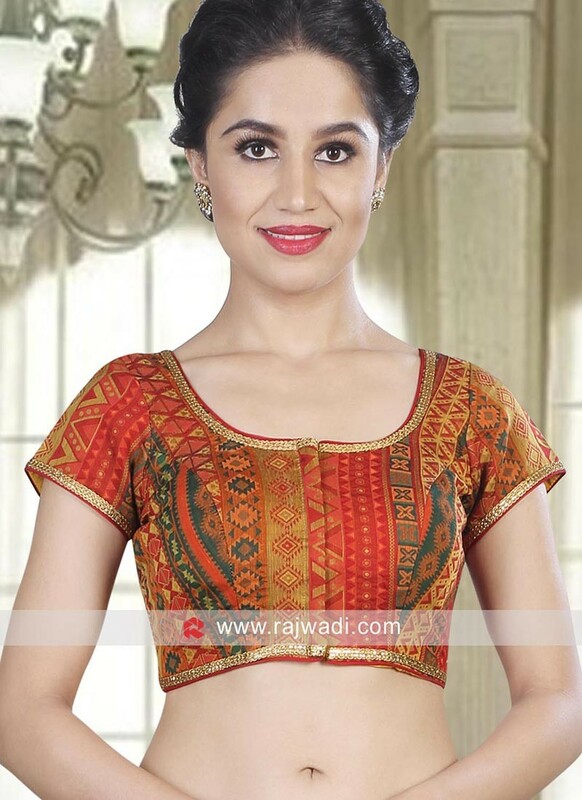 Wear this latest Brocade ready blouse features printed design done all over and has contrast lace border. 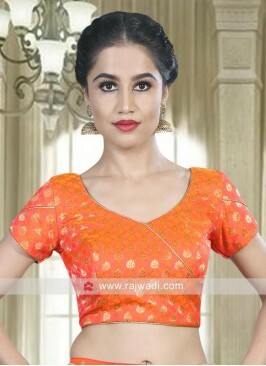 This stitched blouse has cap sleeves and round neck. Blue and Cream Designer B..